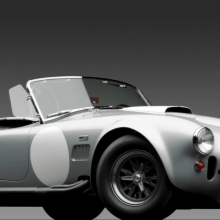 Although Carroll Shelby's original 289 Cobra certainly was not lacking in terms of horsepower, it was only natural that the chicken farmer turned racing driver would eventually slot a big-block V-8 into the engine bay. 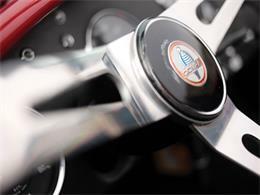 Boasting over 400 bhp, the new 427 cu. in. 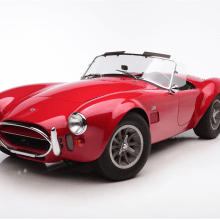 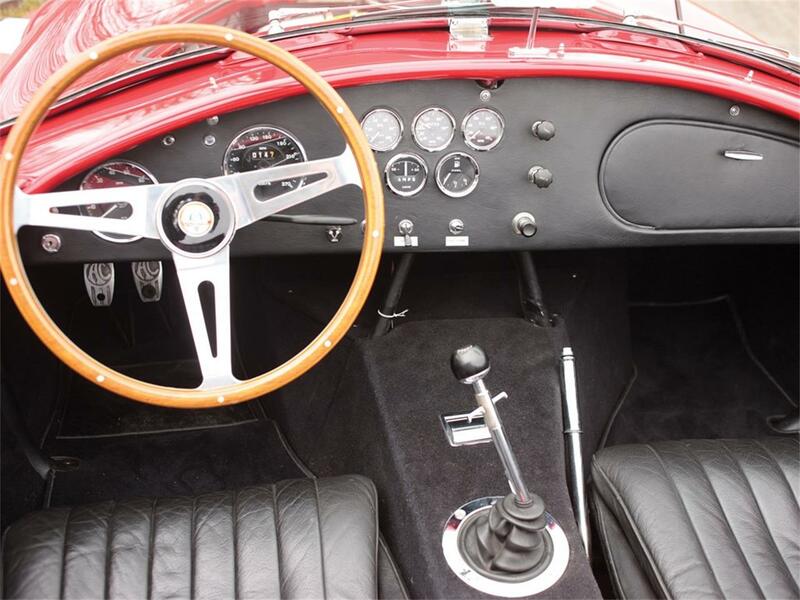 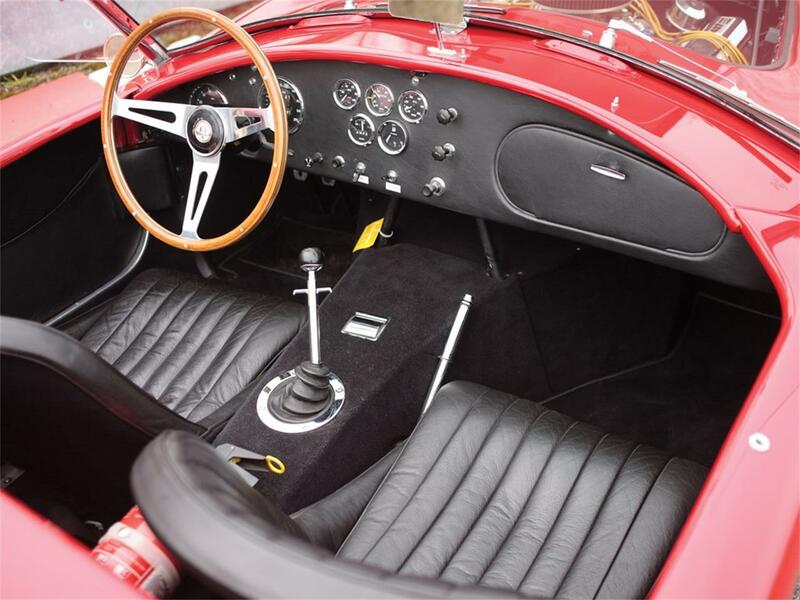 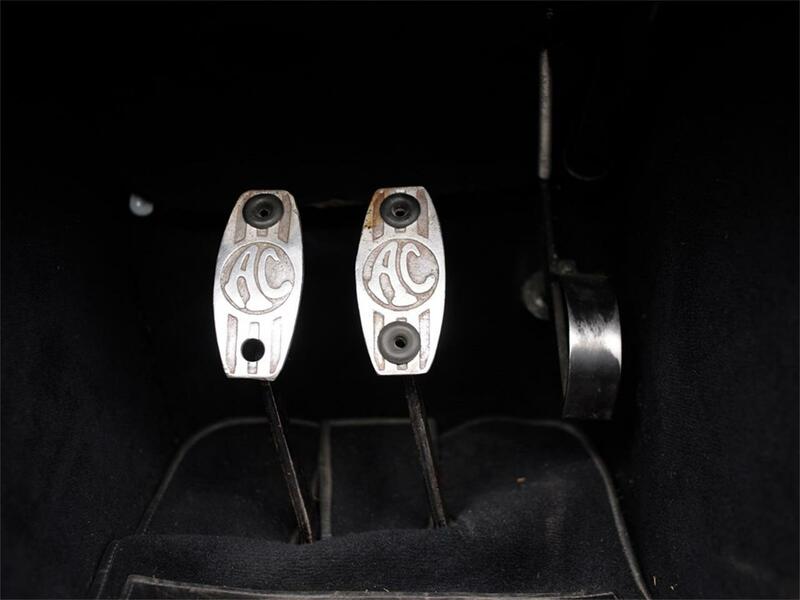 V-8 engine necessitated a complete redesign of the Cobra's chassis to ensure proper handling, measuring five inches wider and boasting coil springs in place of the previous leaf springs. 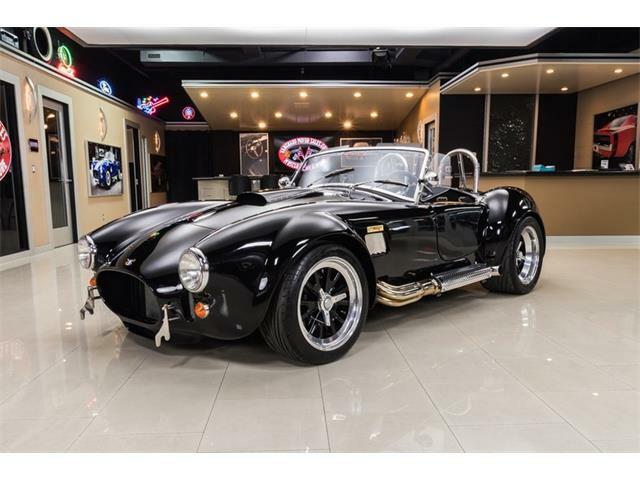 Just over 300 427 Cobras were built. 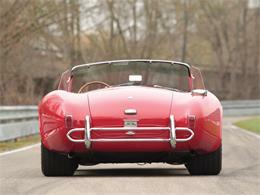 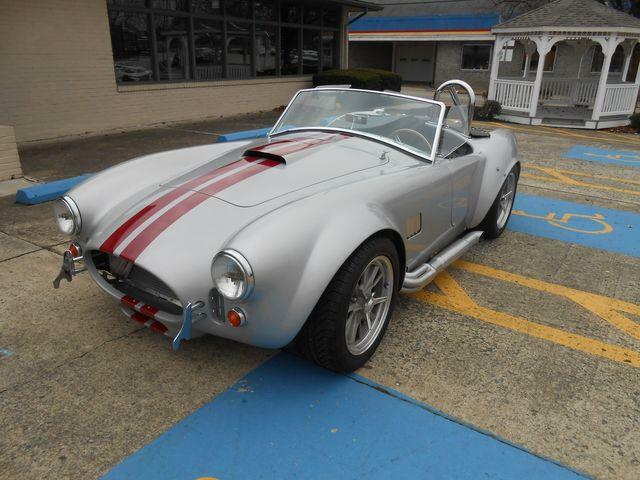 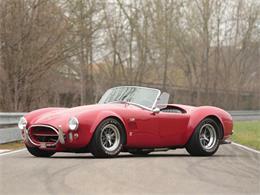 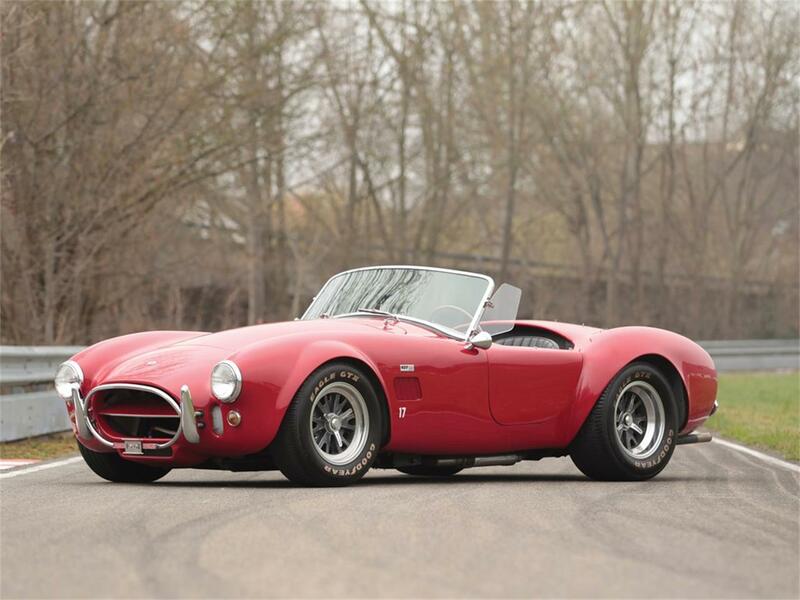 The 427 Cobra presented here is amongst the earliest road-going 427 Cobras produced, just the 10th street chassis produced (with the first being CSX 3101). Chassis no. CSX 3110 was finished in Rangoon Red over a Black leather interior. 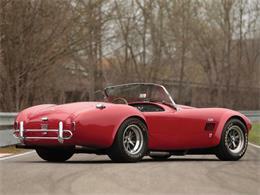 Its production started in December of 1965 and was finished in January of 1966. 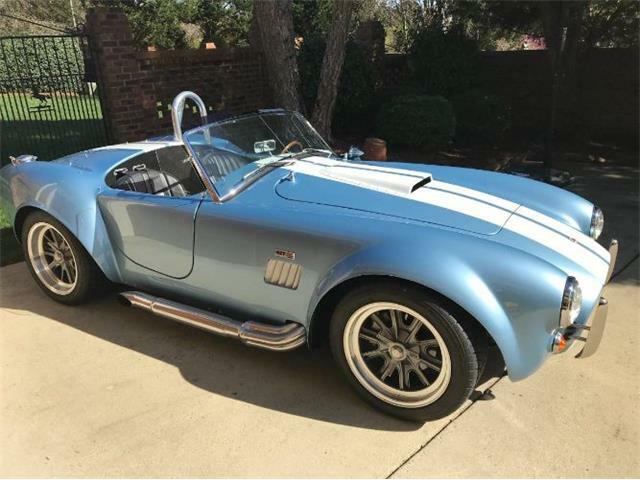 Interestingly, this is believed to be the first 427 Cobra by chassis number to be fitted with the desirable Kelsey-Hayes 7.5" aluminium 'Sunburst' wheels. 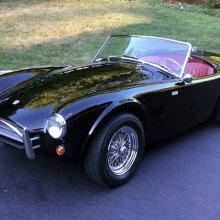 According to the SAAC World Registry of Cobras and GT40s, the car was billed to the Marshall Motor Company of Mayfield Heights, Ohio. 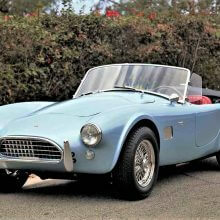 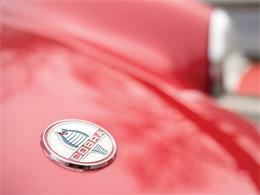 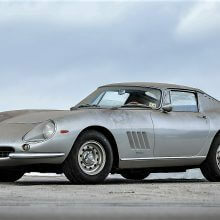 However, its first owner and early ownership history is unknown. The car first emerged in Florida in the mid-1970s. 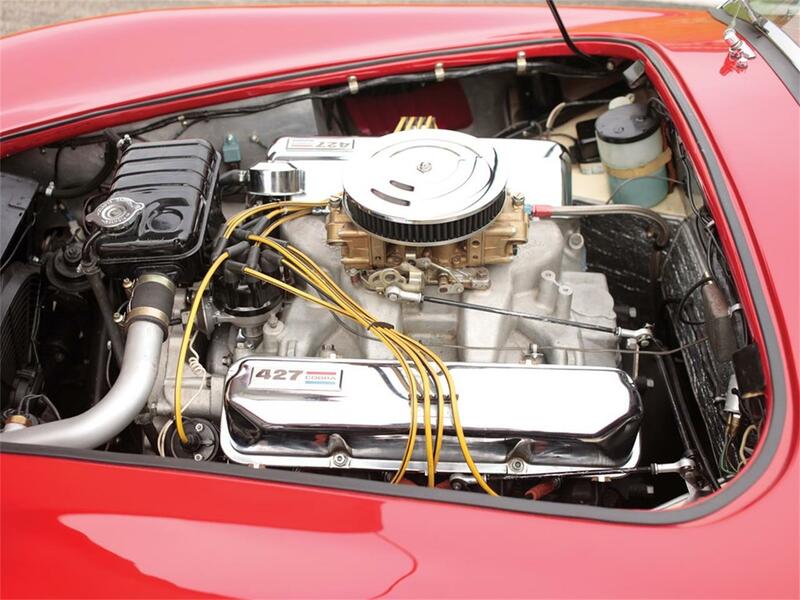 At that time, Pat Conroy purchased CSX 3110 in Florida as a wreck for $10,000. 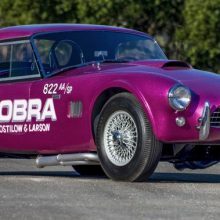 At the time, the car had damage to its left side and front and had been given a rebuilt vehicle VIN by the Florida Department of Motor Vehicles but was eventually retitled as CSX 3110. 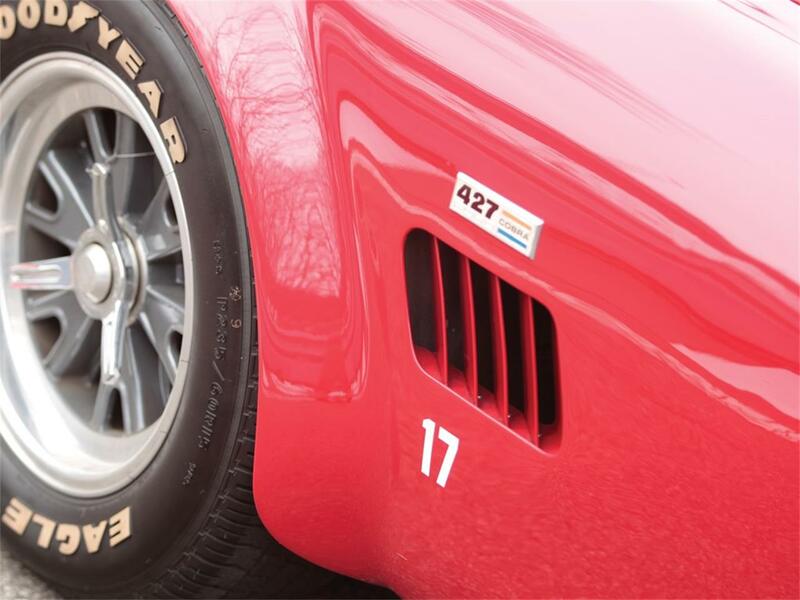 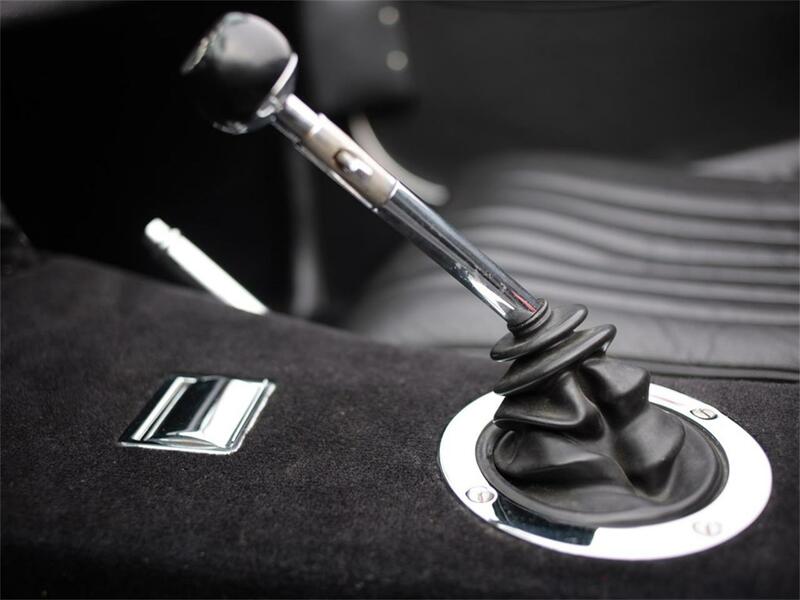 The car was noted as retaining its wide front and rear fenders, trademarks of early 427s, and was allegedly showing 10,000 miles on its odometer. 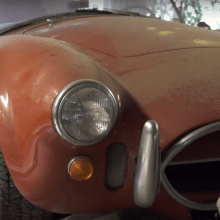 Conroy brought the Cobra home to Pennsylvania and sought to restore CSX 3110 to its former glory but over the years, he never found the time. As a result, the car sat in his garage and was purchased as a project by Sandy Sadtler, also of Pennsylvania, in 1987. With Sadtler, the car was finally restored to its original specification and colour scheme. 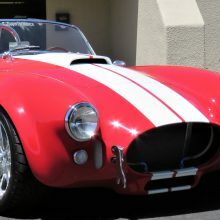 The Cobra remained with him 25 years and in 2002 was sold to Henri-Louis Maunoir of Geneva, Switzerland, who was a former president of the Cobra Club Switzerland. 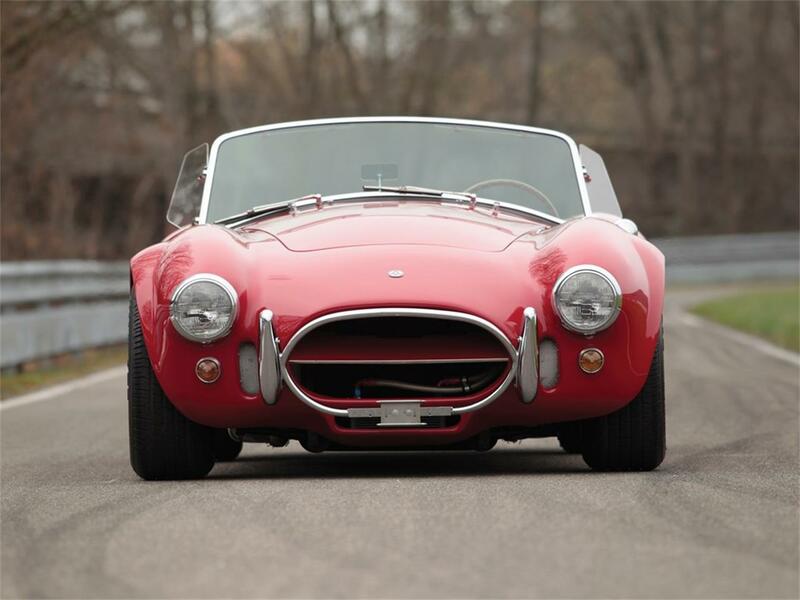 Purchased by the current owner, a Swiss collector and racing driver, in October of 2006, the car remains in excellent condition and is ready to be enjoyed by its next owner. 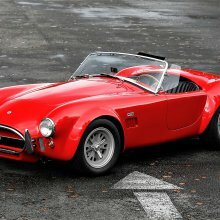 Truly a performance car icon, Shelby's Cobra took the best of British engineering, added American horsepower and made a car that could outrun anything on the road in its day. 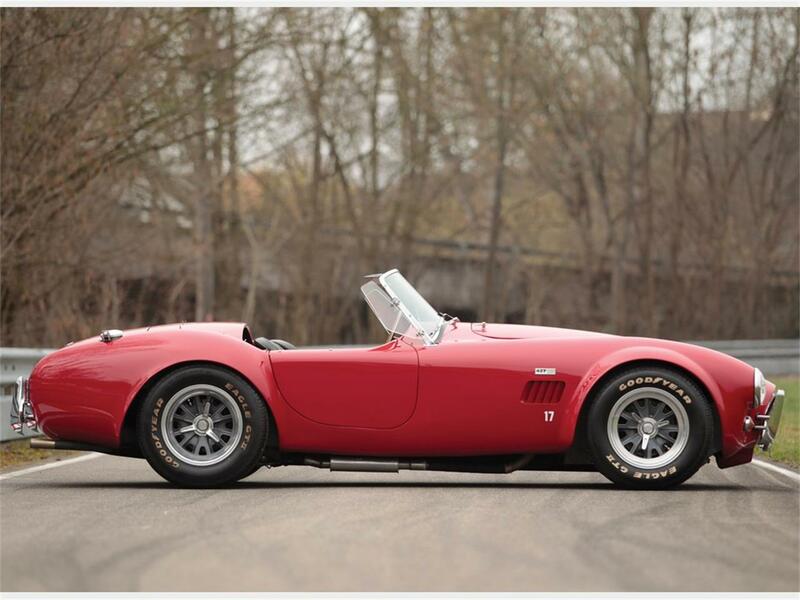 Any collector of post-war sports cars needs to have a Cobra in their garage, and CSX 3110 would surely be brilliant to drive and enjoy on the open road.To view this car and others currently consigned to this auction, please visit the RM website at rmsothebys.com/en/auctions/ve19. 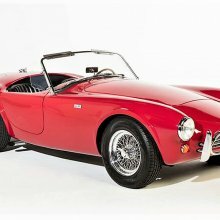 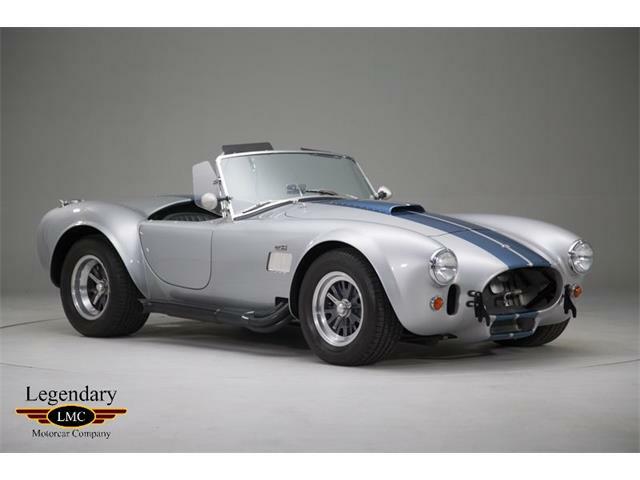 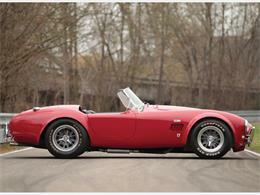 Hi, I'm interested in your 1965 Shelby Cobra listed on ClassicCars.com.